Skyr is an Icelandic dairy product that has been a provision of Icelanders for nearly a thousand years. It is similar to yogurt, but thicker, and creamier, and according to Hjalti, the reason the vikings were so strong. Icelandic Provisions partnered with us to create their visual identity, including logo and packaging for six distinct flavors that are sold exclusively in the United States. 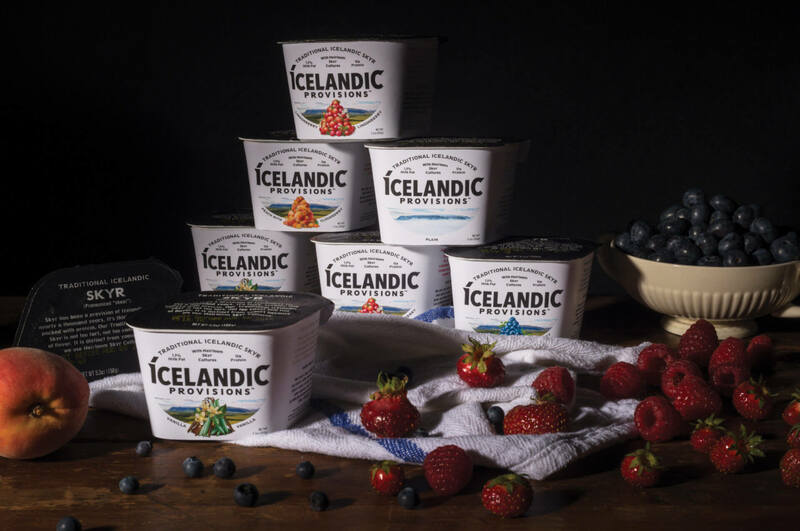 It is the only Skyr made in the U.S. using an original Icelandic recipe with heirloom Icelandic cultures. As it is, the packaging has undergone many iterations since our original design, and sales continue to grow. Each flavor was illustrated in the shape of a traditional Icelandic cairn, a mound of rough stones used as landmark.